Seeking out experiences where you’re forced to learn, will create so many of these moments, where you’re going to look at things completely differently when you’re done. 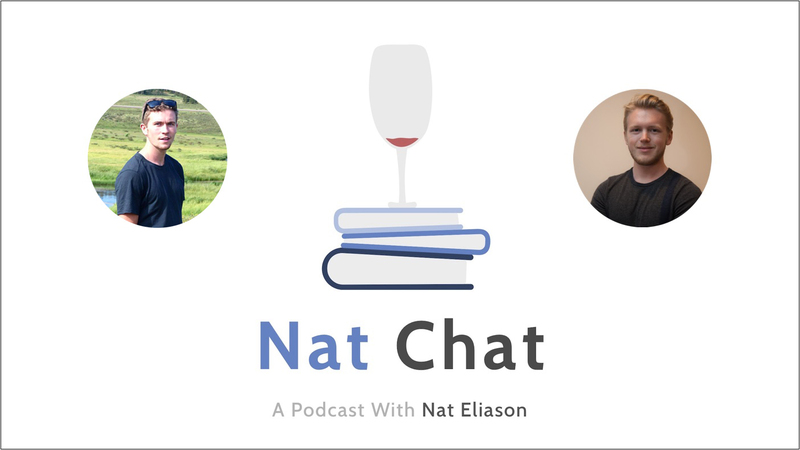 In this episode of Nat Chat, I’m joined by Cory Ames. Cory was going to college at Gonzaga University where he took on an apprenticeship with a marketing agency. His apprenticeship with that agency quickly earned him bigger and bigger roles, where within a couple of years, he was actually running the whole company while being only 23 years old. He figured everything out on his own through various projects in college and by reaching out to others to learn from them. Currently, Cory’s out of that marketing agency and is working on some of his own projects. Cory’s a great model to follow for those wanting to pursue their goals, those wanting to self-educate themselves, and for those wanting to get into entrepreneurial pursuits. And much more. Please enjoy, and reach out to Cory on Twitter! If you enjoyed this episode and want to learn more on self-education, be sure to check out my episode with Zak Slayback and my episode with Zen Dude Fitness, where we go in-depth on self-educating yourself and much more. You’ll also like my episode with Tasha Meys, where we discuss finding mentors, promoting your skillset, and more. 1:17 – Intro to Cory, what he’s currently working on, and him detailing his experience with learning photography. Also, how he’s finding people to reach out to, to learn photography. 5:34 – Some of the things Cory’s learned so far with photography within the deconstruction phase. 6:59 – How long Cory has been learning photography and some things he’s been doing for income. 7:27 – Cory’s journey to becoming CEO of a multi-million dollar marketing company being only 23 years old. 9:07 – What Cory was first doing for that marketing company and discussion on how large the company was. Also, what happened after he got the job there. 12:25 – What gave Cory the confidence to leave school and not go back. Also, some info on Cory’s affiliate website. 14:55 – How Cory learned SEO and a few resources that were really helpful for him learning SEO. 17:29 – Some other projects and things that helped Cory with self-educating himself. 19:43 – What Cory was studying while he was in college and what steered him away from college the most. Also, detailing some of the pros and cons of college. 23:03 – Cory’s experience with traveling to South America and some lessons that he learned while there. Also, his experiences and his traveling after leaving South America and living in Austin, Texas. 27:13 – How the team at the marketing company worked together and his thoughts on managing travel and working. 29:57 – Cory’s progression from the lead SEO role to then leading the company. Also, why he resigned from the company. 33:20 – Some things that happened after Cory resigned and what he plans to work on in the future. 36:18 – How Cory finds the clients to work with and some advice he has for others wanting to find clients. 37:55 – Some big long-term goals and projects that Cory’s currently striving for. 39:14 – Some thoughts on working with the state and local level of politics. 40:39 – The life-changing books that Cory’s read and experiences that he’s had. 43:02 – Wrap-up, where to find Cory online, and where to reach out to him at. Build skills that can help other people, and then just have enough conversations about it with other people and their projects.